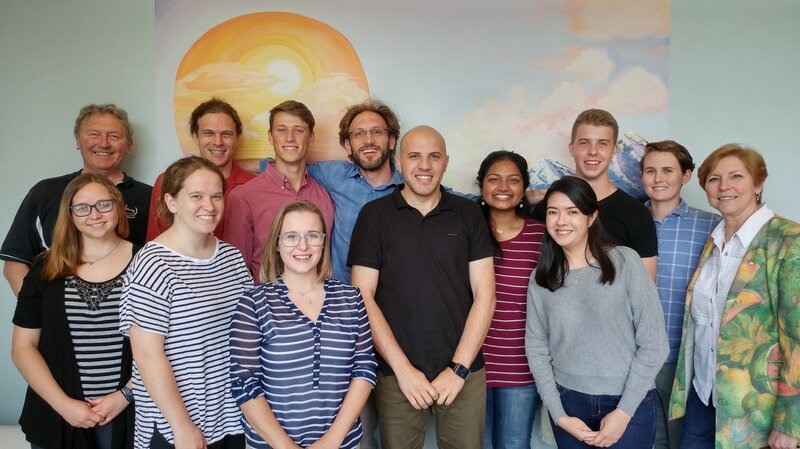 Our laboratory is interested in understanding the intimate connection between the body and the brain, and developing new technologies to help bring this connection to the forefront of awareness. Utilizing both the lesion method and functional neuroimaging, our research investigates how the human brain produces primal states of emotion, with an emphasis on the neuroscience of fear and treatments that alleviate anxiety. Every moment of the day, the brain is continuously infused with signals from the internal world of the body, especially the heart, lungs, gut, and immune system. The brain attempts to organize all of these signals into detailed body maps, essentially providing the brain with a snapshot of how the body is feeling, moment by moment. It has recently been discovered that disturbances in these body maps form the foundation for a number of psychiatric conditions, including anxiety, addiction, and anorexia. Our laboratory aims to correct these disturbances by experientially teaching patients how to consciously access their brain’s body maps. Since much of the processing that occurs inside these body maps is happening unconsciously, we are exploring several new approaches that can selectively enhance “interoceptive awareness.” One approach involves specialized floatation environments, which are highly effective at removing distractions from the external world so that patients can more clearly experience their internal world. Another approach involves real-time neurofeedback using fMRI and EEG, providing patients with the ability to literally view the brain activity inside their own body maps. Over time, and with repeated practice, these approaches offer patients the unique opportunity to reshape their internal experience. Can an intervention that enhances present moment awareness for internal bodily sensations help patients with anxiety establish a healthier balance between their body and brain? Develop floatation as an intervention approach for different mental illnesses including anxiety, addiction, and anorexia. 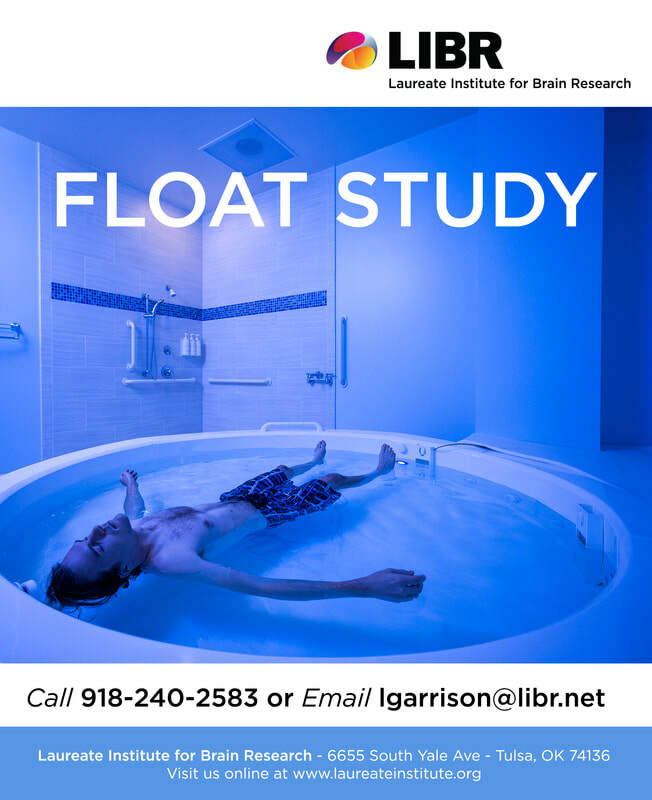 Uses floatation to help patients disconnect from the outside world and reconnect to signals coming from the inside of their body. Waterproof and wireless physiological equipment will measure blood pressure, heart rate, respiration, movement, and EEG. Functional neuroimaging will be used to determine where these changes take place inside the brain. 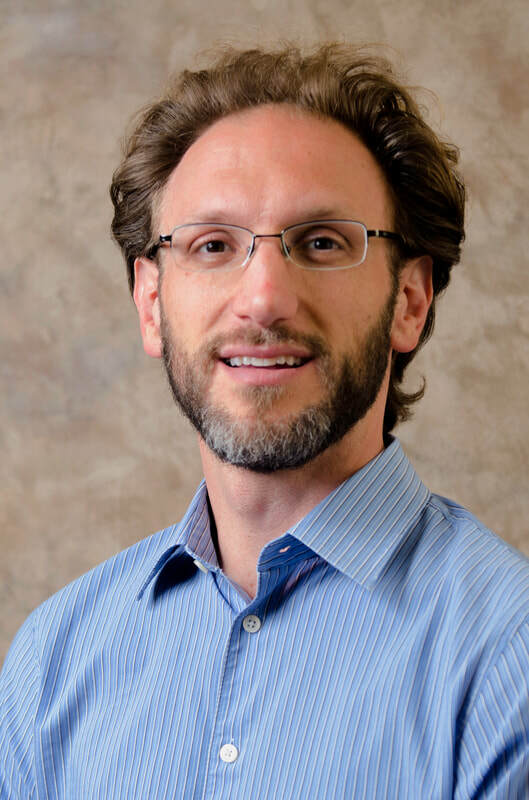 Dr. Feinstein joined the faculty of the Laureate Institute for Brain Research and the University of Tulsa in December of 2013, after completing his Ph.D. in Clinical Neuropsychology at the University of Iowa, and his postdoctoral fellowship at the California Institute of Technology. 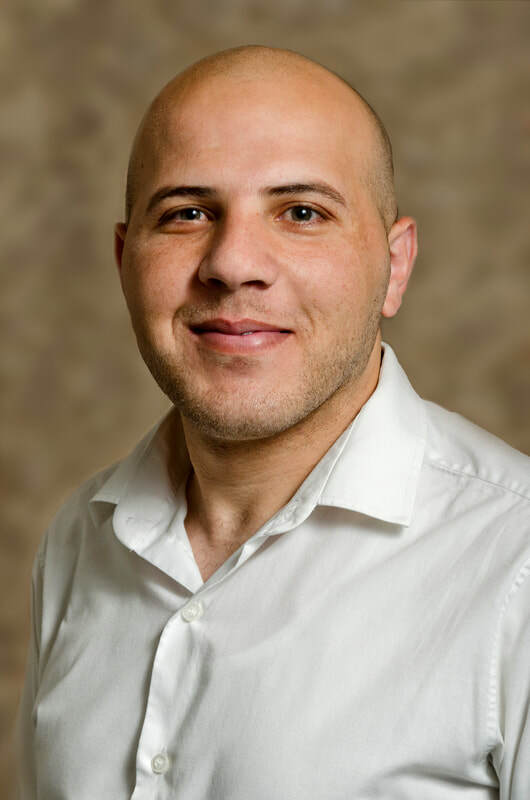 He earned his undergraduate degree in Cognitive Neuroscience at the University of California, San Diego, and completed his clinical internship at the San Diego VA hospital with a focus on the treatment of veterans with PTSD using Prolonged Exposure therapy. In May of 2015, construction of LIBR's Float Clinic and Research Center (FCRC) was completed. The FCRC’s mission is to investigate the effects of Floatation-REST (Reduced Environmental Stimulation Therapy) on both the body and brain, as well as explore its potential as a therapeutic treatment for promoting mental health and healing in patients who suffer from anxiety. The elicitation of relaxation and interoceptive awareness using Floatation therapy in individuals with high anxiety sensitivity. Biological Psychiatry: Cognitive Neuroscience and Neuroimaging. Feinstein J. S., Khalsa SS, Yeh H, Al Zoubi O., Arevian AC, Wohlrab C, Pantino MK, Cartmell LJ, Simmons WK, Stein MB, Paulus, MP (in press). Feinstein JS, Khalsa SS, Yeh H, Wohlrab C, Simmons, WK, Stein MB, Paulus MP (2018). Panic Anxiety in Humans with Bilateral Amygdala Lesions: Pharmacological Induction via Cardiorespiratory Interoceptive Pathways. Journal of Neuroscience, 36(12): 3559-3566. Khalsa SS, Feinstein JS, Wi L, Feusner JD, Adolphs R, Hurlemann R (2016). Sustained experience of emotion after loss of memory in patients with amnesia. Proceedings of the National Academy of Sciences, 107, 7674-7679. Feinstein JS, Duff MC, Tranel D (2010). The pathways of interoceptive awareness. Nature Neuroscience, 12, 1494-1496. Khalsa SS, Rudrauf D, Feinstein JS, Tranel D (2009). The human amygdala and the induction and experience of fear. Current Biology, 21, 34-38. Feinstein JS, Adolphs R, Damasio A, Tranel D (2011). Feelings without memory in Alzheimer Disease. Cognitive and Behavioral Neurology, 27(3), 117-29. Guzman-Velez E, Feinstein JS, Tranel D (2014). Preserved emotional awareness of pain in a patient with extensive bilateral damage to the insula, anterior cingulate, and amygdala. Brain Structure and Function. Feinstein JS, Khalsa SS, Salomons TV, Prkachin KM, Frey-Law LA, Lee JE, Tranel D, Rudrauf D (2015, Epub ahead of print). Fear and panic in humans with bilateral amygdala damage. Nature Neuroscience, 16, 270-272. Feinstein JS, Buzza C, Hurlemann R, Follmer RL, Dahdaleh NS, Coryell WH, Welsh MJ, Tranel D, Wemmie JA (2013).